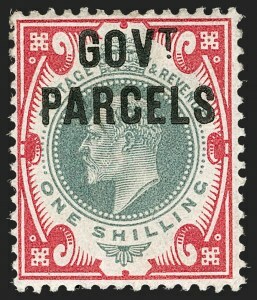 VERY FINE EXAMPLE OF THE IMMENSELY RARE "GOVERNMENT PARCELS" TRIAL OVERPRINT IN RED. 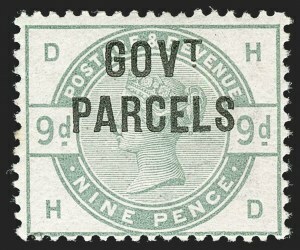 ONLY SIX EXAMPLES WERE PREPARED AND OVERPRINTED BY DE LA RUE. 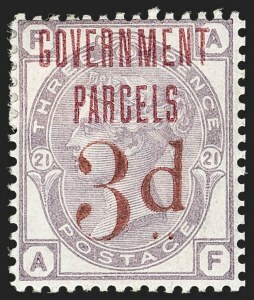 Three different overprint options were presented by De La Rue on the 3p value: the two unaccepted versions in red and black and the eventually accepted overprint in black. 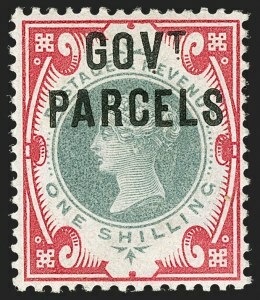 Only six examples of this overprint in red were printed. 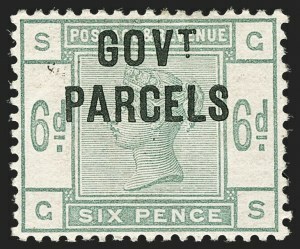 This is a key item for the Great Britain Official collector or exhibitor. Ex Baillie. With 1981 B.P.A. 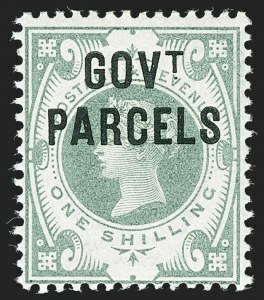 certificate. 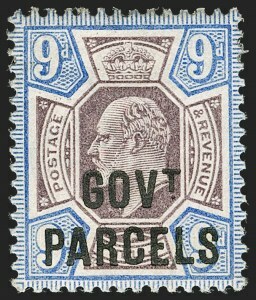 SG £11,000. VERY FINE AND CHOICE. 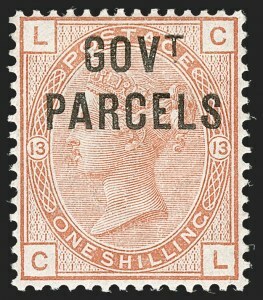 A LOVELY EXAMPLE OF THE 1886 6-PENCE GOVT. 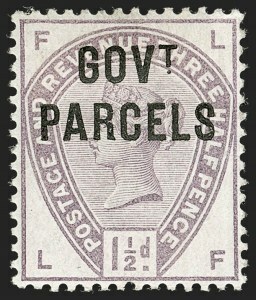 PARCELS OFFICIAL.